When I replaced my nets with blinds, I had curtains to recycle. 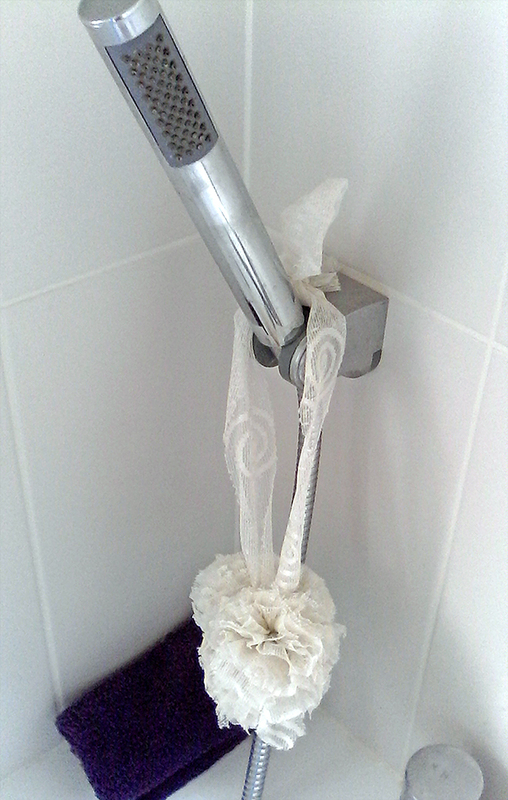 So I made shower scrunchies by cutting the curtain into strips and wrapping it around two circles of cardboard which had holes in the middle — like making a pom-pom. Once the gap in the middle was filled, I cut around the edges and tied the centre with another piece of lace. Then I removed the card pieces. Voila!